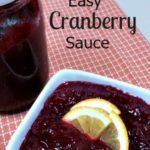 If you are still searching for a last minute side dish for Thanksgiving, try Easy Cranberry Sauce. This tasty little side dish comes together in under 30 minutes and can be made a day or two in advance. I try to include a few make-ahead dishes with every holiday meal to lessen my time in the kitchen on the big day. Are you a canned cranberry sauce lover? Or do you prefer the fresh sauce? I grew up eating the canned sauce, and still like it to this day (don’t judge, okay?). But I also really enjoy fresh cranberry sauce, especially my Easy Cranberry Sauce. The light citrus flavor from the orange juice complements the cranberries perfectly. Now is a great time to stock up on cranberries because they are priced right. I can usually find them for around $1.50 per bag. Fresh cranberries also freeze beautifully, allowing you to enjoy cranberries throughout the year. Rinse the cranberries, picking out any duds and little twigs. Zest the surface of the orange (I use a microplane zester for this task). Using a large pot, combine the sugar, orange juice and water. Bring to a boil. Carefully add the fresh cranberries and orange zest. Return to a boil. Reduce the heat and gently boil for about 10 minutes (or until the cranberries pop open). For a chunkier sauce: mash the berries with a potato masher until desired consistency. For a smoother sauce: push the sauce through a fine mesh strainer. Allow sauce to cool before storing in the refrigerator. I’ve linked this recipe at: Weekend Potluck, Meal Plan Monday, Full Plate Thursday. 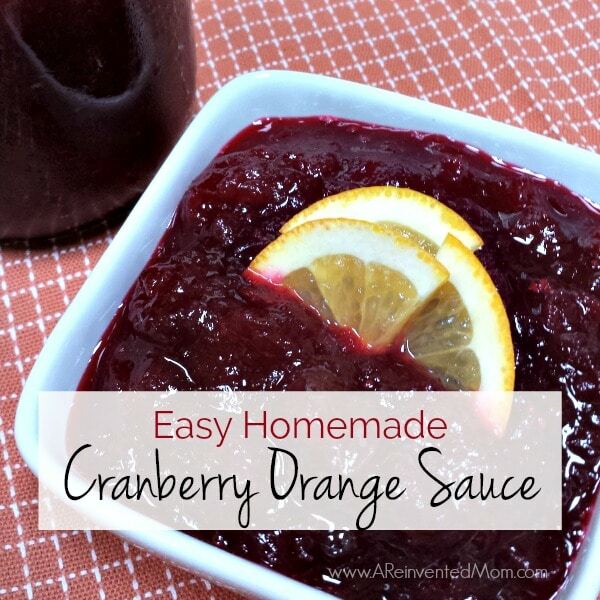 We love homemade Cranberry Sauce, this looks delicious. Thanks so much for sharing with Full Plate Thursday and have a great day. How easy and delicious! Thank you so much for linking up at Tasty Tuesday! Your recipe has been pinned to the Tasty Tuesday Pinterest board! Please join us again this week! Thanks for hosting a fun party, Barb!